Get healthier sleep night after night on a clean, cool more comfortable bed. Instantly upgrade your mattress to get that supportive new-bed feel. The reversible design lets you choose a side based on your personal preference. The wave side allows for maximum air-flow and a plush feel, while the flat side provides a consistently smooth sleep surface with a slightly firmer feel. CopperFresh® Technology eliminates virtually all odor-causing bacteria and conducts heat away from your body for cooler sleeping. 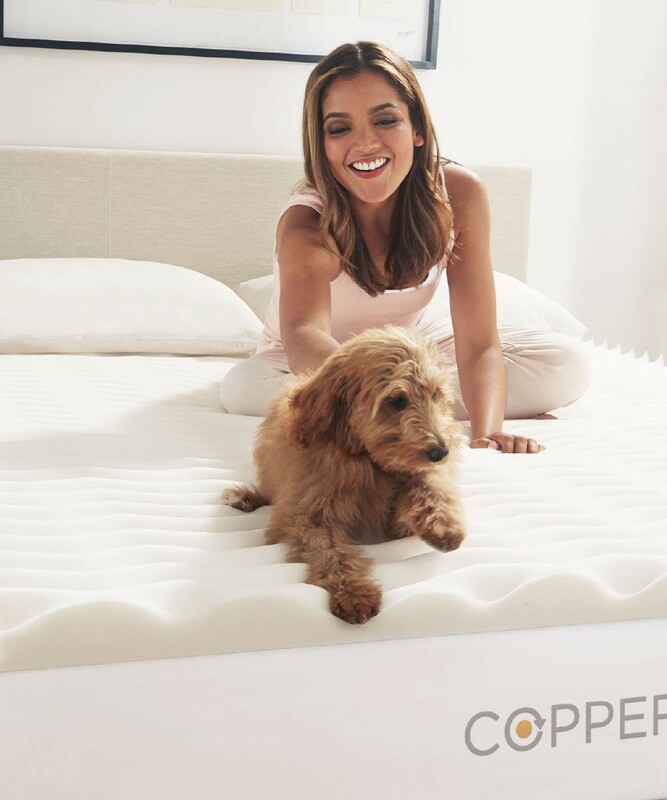 CopperFresh® mattress toppers are manufactured with premium quality, American-made foam. PERSONALIZED SUPPORT: Gel memory foam relieves pressure points and provides personalized support by automatically increasing support where you need it most. COOLER SLEEP: Open cell memory foam increases air circulation while copper draws heat away from the body to ensure a comfortable sleeping temperature. Foam: Spot clean by hand with warm water and a mild detergent. Rinse the area and gently wring out excess water. Air dry. Do not hand wash the entire topper. Do not place in washer or dryer. Note: Your mattress topper is not water resistant or waterproof. If you feel that a waterproof mattress pad is needed, place it over your topper.